By studying the inner regions of nine elliptical galaxies with Chandra, scientists can now estimate the rate at which gas is falling toward the galaxies' supermassive black holes. These images also allowed them to estimate the power required to produce radio emitting bubbles in the hot X-ray gas. 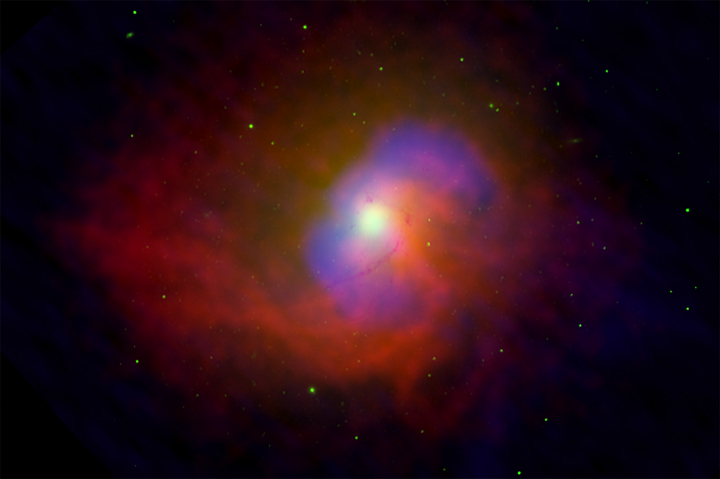 The composite image of NGC 4696 shows a vast cloud of hot gas (red), surrounding high-energy bubbles 10,000 light years across (blue) on either side of the bright white area around the supermassive black hole. 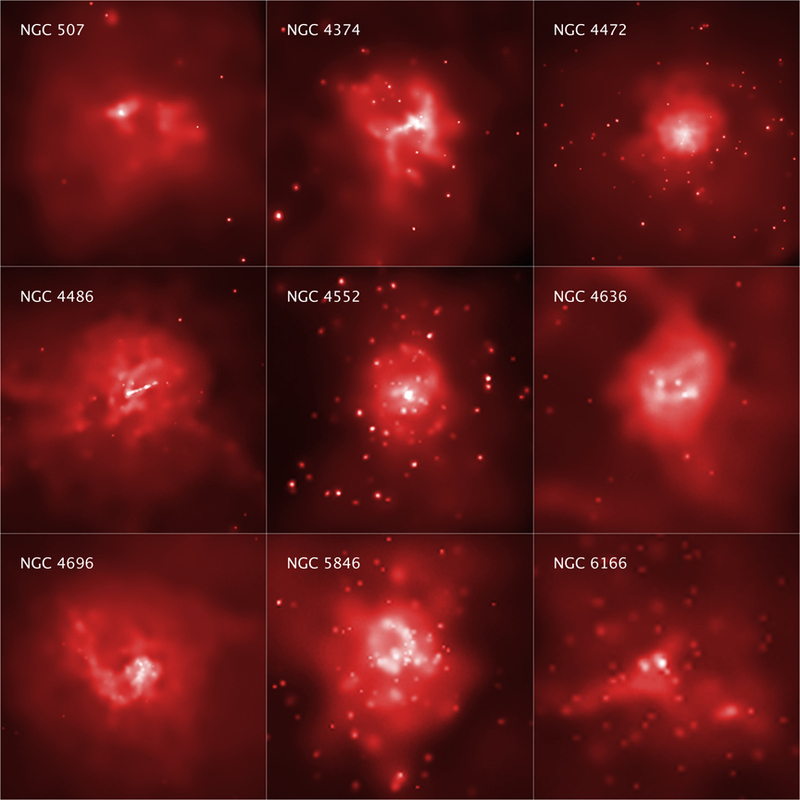 Images of the other galaxies in the study show a similar structure. (The green dots in the image show infrared radiation from star clusters on the outer edges of the galaxy). Surprisingly, the results indicate that most of the energy released by the infalling gas goes, not into an outpouring of light as is observed in many active galactic nuclei, but into jets of high-energy particles. Such jets can be launched from a magnetized gaseous disk around the central black hole, and blast away at near the speed of light to create huge bubbles. An important implication of this work is that the conversion of energy by matter falling toward a black hole is much more efficient than nuclear or fossil fuels. For example, it is estimated that if a car was as fuel-efficient as these black holes, it could theoretically travel more than a billion miles on a gallon of gas!